"It's James' 1970s Custom that had gotten knocked over during the encore in Pomona the night before and suffered a catastrophic crack to the neck near the headstock. Tom Webber my guitar tech was in the process of trying to repair it damage during the day in Ventura that's why that guitar is in my rack". 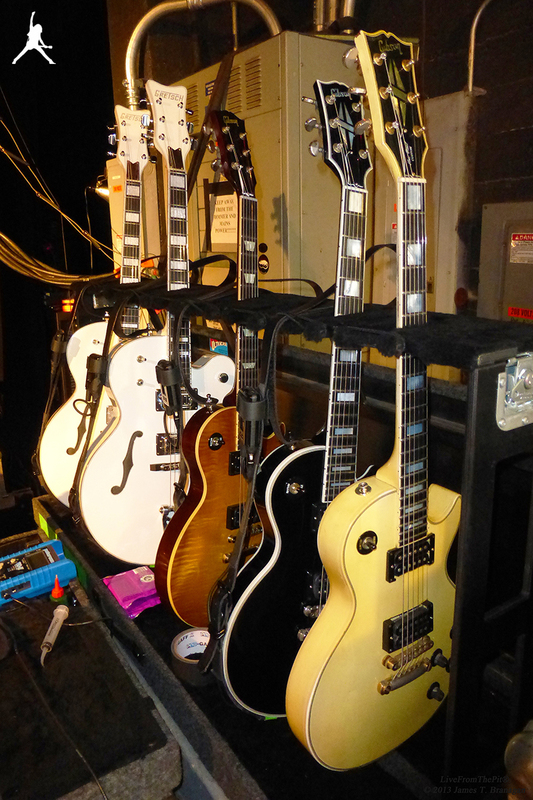 James added; "John Tempesta broke the headstock off it at the second to last gig. He felt worse than I did! Thankfully Tom did a great repair and now it's as good as new and ready to rock!"